If you liked this show, you should follow addresstwo. Krista Neher has over 10 years of marketing experience and is an educator, best-selling author and international speaker on digital internet marketing and social media. Krista is currently the CEO of Boot Camp Digital – a marketing consulting and training company that emphasizes the creative use of technology and social media to grow brands online. Krista is also the Managing Director of the Institute for Social Media at Cincinnati State where she created and runs the social media marketing certification program. Krista is also co-authoring a textbook on social media marketing and is a contributing faculty member to ClickZ Academy and Instant ETraining. Krista has trained thousands on social media and internet marketing including creating customized training programs for the biggest and best companies. 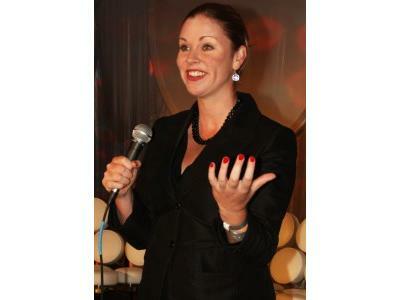 Krista has provided marketing solutions for Fortune 500 companies as well as start-ups and small businesses. With over 10 years of marketing experience, Krista brings a unique combination of traditional marketing skills and experience, technical knowledge as well as creative new marketing approaches with an emphasis on online and social media marketing.